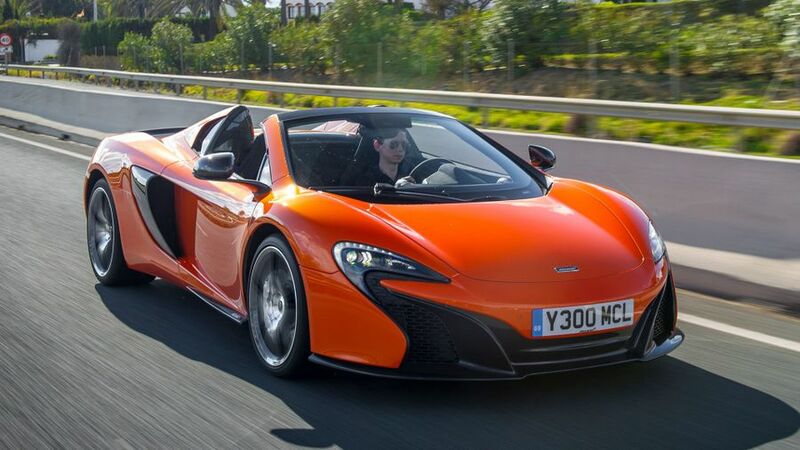 Of all the supercars we’ve driven at this kind of money, the McLaren 650S is the best. It combines mind-blowing dynamic technology with all the engagement and excitement you could want from a supercar, and compared with some rivals, it’s even pretty good value for money. Even better, the convertible version loses nothing compared to the Coupe, but gains a whole lot. Simply breathtaking. 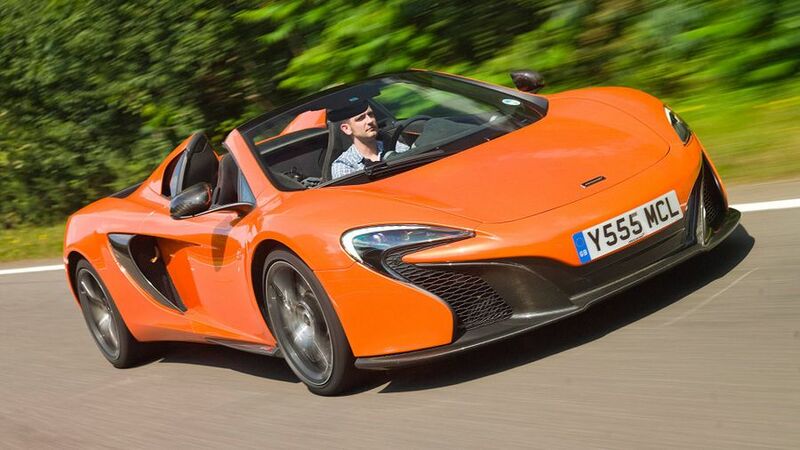 The McLaren 650S Spider is the successor to the 12C drop-head, and you can certainly see the relationship between the two cars in their dimensions, lines and details, but the 650S is certainly a more glamourous-looking car than the one it replaces. 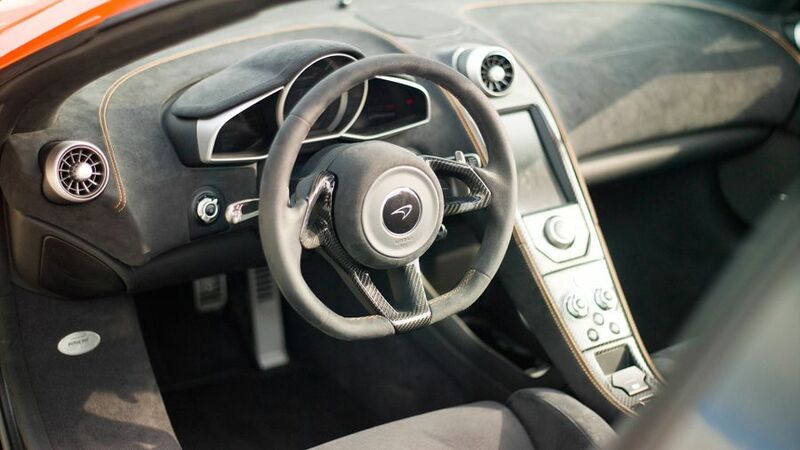 The nose is very reminiscent of the P1 hypercar, and compared with the 12C, it’s less aggressive and more exotic. It’s tougher to spot the differences between the rear-ends of the two cars, but in between, the trained eye will noticed bigger side blades and fatter air intakes for better engine cooling. Importantly, the 650S Spider is one of those convertibles that looks just as good with the roof up as it does with it down. Inside the 650S, you get a suitably sporty environment with alcantara trim on the dashboard and seats, along with plenty of exposed carbon fibre. It maybe doesn’t feel quite as posh as you’d expect from a car costing this much, but the raciness feels very appropriate and the build quality feels very sturdy indeed. The ergonomics, on the other hand, are much more problematic. The controls for the optional electric seats are rather fiddly and the infotainment system is a complete mess. The navigation system is woefully clunky to use, it doesn’t give clear enough instructions and it’s frustratingly slow to update. And, if you specify the optional reversing camera, it’s entirely possible you’ll have finished your reversing manoeuvre before the picture appears on the screen. That said, at least you can see out the back window of the 650S, which isn’t something you can say about most supercars. You can also drop the back window independently of the roof, so you get all the noise of the engine without ruining your hairdo. Practicality isn’t an essential thing for any supercar; it’s more of an added bonus. And, while the 650S will never be the last word in versatility, it does a great job compared with a lot of its rivals. The cabin has plenty of headroom and legroom for its two occupants, so even the gangliest of folk should be able to make themselves comfortable on a long journey. 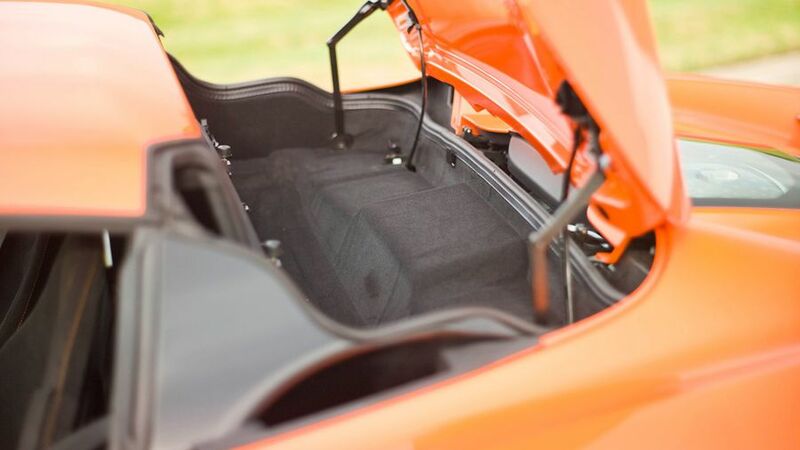 Being mid-engined, the 650S’s main loadspace lies under the bonnet rather than at the back, and while it isn’t huge, it’s big enough for a couple of soft weekend bags. That’s more than you’ll squeeze into most supercars. What’s more, the Spider is actually more practical than the Coupe, because when the roof is up, you can store stuff in the space that the roof folds into. 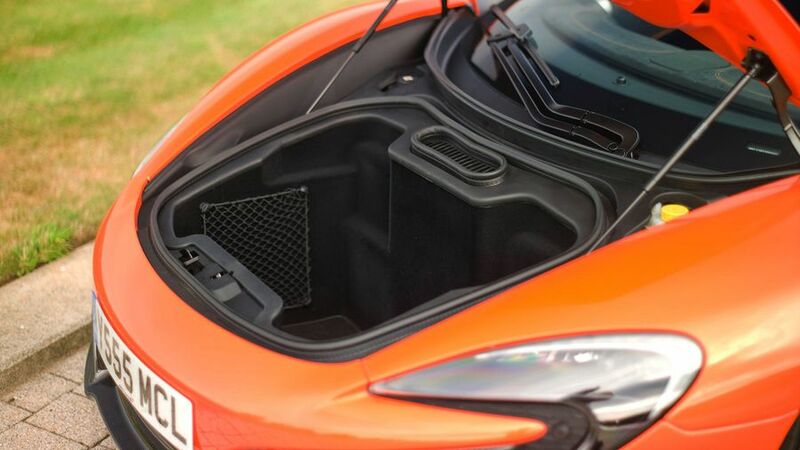 McLaren even provides bags for your stuff that are tailored to fit the space perfectly. The 650S is built on the same carbon-fibre chassis that underpins all McLarens, and as well as being very light, it’s also very strong, so strong in fact that the Spider loses no torsional rigidity whatsoever to the Coupe, meaning it’s every bit as good to drive. That’s not where the clever technology ends, either. You also have a rear wing that moves around automatically to optimise downforce in any given driving situation, standard carbon-ceramic brakes for ultimate stopping-power, and you also have Pirelli tyres with a unique compound specific to the 650S that give the car seemingly unshakeable grip. Chuck in a super-clever suspension that allows virtually zero body roll under hard cornering, and you have a car with a level agility and precision that has to be felt to be believed. Even when judged alongside the best supercars, the 650S turns with incredible speed and control, and the immediacy and sensation you get from the controls mean you feel right on top of the action. Even more spookily, the suspension delivers ride comfort that’d shame most executive saloons, making this a supercar you really could use every day. 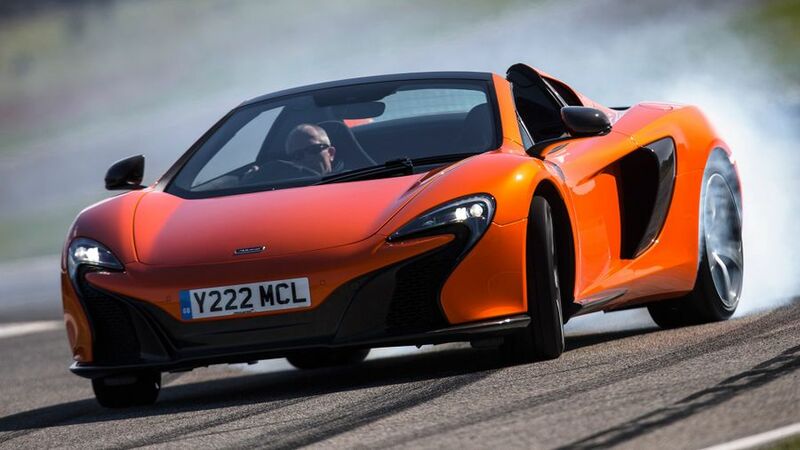 The 650S Spider has a twin-turbocharged 3.8-litre V8 with 641bhp and 500lb/ft of torque, and is capable of blasting from 0-62mph in just 3.0 sec, and onto a top speed of 204mph. The sensation this pace gives is simply breathtaking. The engine is actually surprisingly docile at low revs, making it a manageable car to drive at low speed, but once the revs push upwards of about 2,500rpm, all hell breaks loose. Under full throttle, the acceleration you feel is as relentless as it is savage, and each tug on the upshift paddle throws you forwards with even more ferociousness. 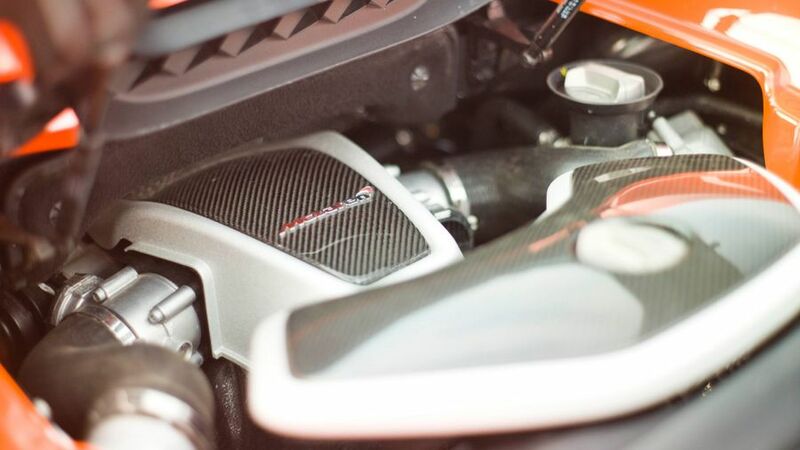 What’s more, the engine sounds appropriately insane when you’re giving it stacks; nail the throttle, and you’ll hear a whoosh of turbos followed by a burbling bellow and a crackling exhaust. However, the engine also settles down nicely at a steady cruise, and with good suppression of road and wind noise, long journeys won’t leave your ears ringing. No prizes for guessing that the 650S Spider is sufficiently expensive that it’ll be the exclusive preserve of the super-rich. However, that doesn’t mean it’s not good value. Granted, it costs around twenty grand more than the 12C Spider, but for us, it’s easily twenty grand better. And, prices are very competitive compared with other convertible supercars. Yes, costs for fuel, insurance and maintenance will be suitably astronomical, but no more so than with any other supercar. If you have the financial means to even contemplate buying a car this expensive, it’s safe to assume you can afford to run it. 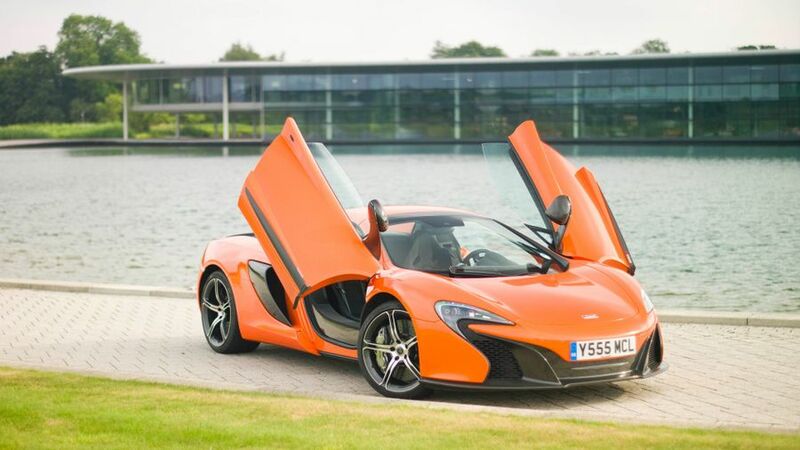 You will rightfully expect a fair amount of luxury equipment to come as standard on a car as expensive as a 650S, and although the specification isn’t dazzling, it’s sufficient. All cars come with a cabin trimmed in alcantara and leather, along with satellite navigation, Bluetooth and a high-grade stereo with DAB radio. However, you have to pay extra for a reversing camera and electric seat and steering wheel adjustment. Because you want the most advanced supercar that this amount of money can buy you. The 650S is the best of the cars we’ve driven at this sort of price, and what’s even more astonishing is that the Spider loses absolutely nothing to the Coupe for dynamic brilliance. We couldn’t recommend this thing more highly.